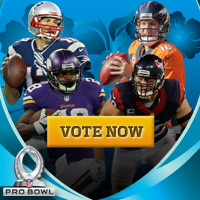 Who's getting snubbed in early Pro Bowl voting? Published: Dec. 5, 2013 at 07:04 p.m. Updated: Dec. 5, 2013 at 11:45 p.m. 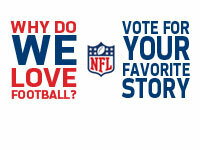 Fan voting accounts for one-third of the Pro Bowl selection process. Fans cannot always be trusted. 1. Cleveland Browns cornerback Joe Haden might have the biggest beef of any player in the league. He's in 10th at his position, behind guys like Tim Jennings, DeAngelo Hall and Brandon Flowers. All those players have had their moments, but Haden is playing like a first-team All-Pro. 3. Luke Kuechly has the fourth-most votes among inside linebackers, well behind a rookie (Kiko Alonso) and an injured player (Sean Lee.) I love Alonso and Lee, but Kuechly is the best at his position. 4. Jordan Cameron leads Rob Gronkowski by more than 150,000 votes. Even half a season from Gronk is worth more than that. 5. Tampa Bay Buccaneers linebacker Lavonte David is ninth at his position, which is a shame. He should not be behind guys like Danny Trevathan and Lance Briggs, who have been injured. 6. Give the fans credit for savvy choices at defensive tackle. Dontari Poe and Jason Hatcher aren't exactly household names, but they are worthy of being the top two vote-getters at the position. Robert Quinn is also high up at defensive end (No. 3), which is nice to see. 7. You know that Seattle Seahawks fans stuff the ballot box when tight end Zach Miller cracks the top 10. 8. Philip Rivers is eighth among quarterbacks and fourth in the AFC voting. He's had a better season than Tom Brady and Andrew Luck. 9. New England Patriots safety Devin McCourty needs more love. He's the best player on their defense and ranks 10th at the position, well behind struggling Bears safety Major Wright and Buffalo Bills safety Aaron Williams. 10. Cleveland Browns fullback Chris Ogbonnaya has almost double the votes Washington Redskins running back Alfred Morris has. Yes, they play different positions. But do we really need a separate fullback category when most teams barely use one? 11. I could pretend to have an opinion about Denver Broncos guard Zane Beadles leading the Pro Bowl voting at guard, but let's be honest: No one voting knows enough to talk about guard play. 12. A recurring theme: Kansas City fans are making their voices heard. They have two of the top four vote-getting guards (Jeff Allen, Jon Asamoah) and their punter (Dustin Colquitt) is destroying the competition, including his brother.